Small Spaces is the sort of book that once you pick it up and start reading its very difficult to put back down again because it is so addictive. The story is just as gripping as the writing, it makes you want to read on and on and before you know it you have reached the end of book. Before starting this book I knew this book had some really positives reviews so I knew I was about to start a great read and now having read the book I do have to agree with all the reviews, Small Spaces is a really amazing book. I don’t want to give too much away about the plot but in essence it’s about Tash who had an imaginary friend called Sparrow, who wasn’t the best sort of friend to Tash and was cruel to Tash and tormented her. Tash has tried to tell people about Sparrow but they all brush it off because they think its all in Tash’s mind. But things escalate when Sparrow causes Tash to lose Mallory Fisher at a carnival and ever since then Mallory will not speak to anyone. I think that if you are going to start reading Small Spaces you should cancel any plans you have and just spend the day reading this book from start to finish. I wish I had done this because putting it down half way through the night because my eyes wouldn’t stay open anymore was torture because I needed to know what was going to happen next. Small Spaces is also the sort of book that needs all of your attention because of the complex plot and the time jumps its easy to get confused unless you are fully concentrating. I know this book is being marketed as a young adult book but for me I think adult readers would also find this book really enjoyable. I found it to be just as gripping and intriguing as other adult books and I am sure other adult readers would agree. Even though this is the authors first book its hard to tell because everything is well thought out and written beautifully, and even little scary at times. The twists and turns leave you guessing throughout the book on what’s going to happen next and who to trust. I would definitely recommend Small Spaces to readers who want a book that will make they think and will keep them up until the early hours of the morning reading. 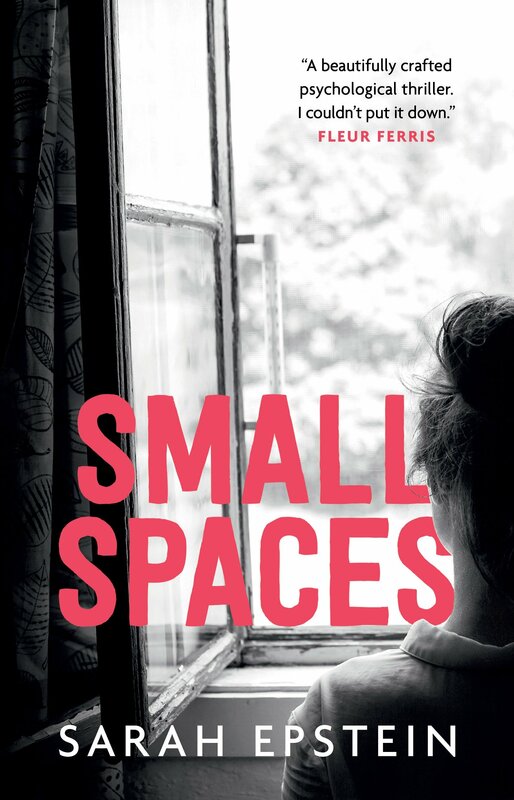 Small Spaces is the sort of book that will have you glued to each page and have your heart racing. This book has everything you need for an amazing read and you will not regret picking it up.